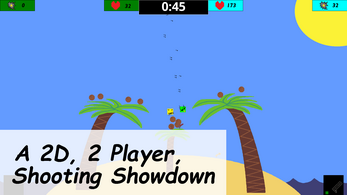 Play in 3 different game modes. 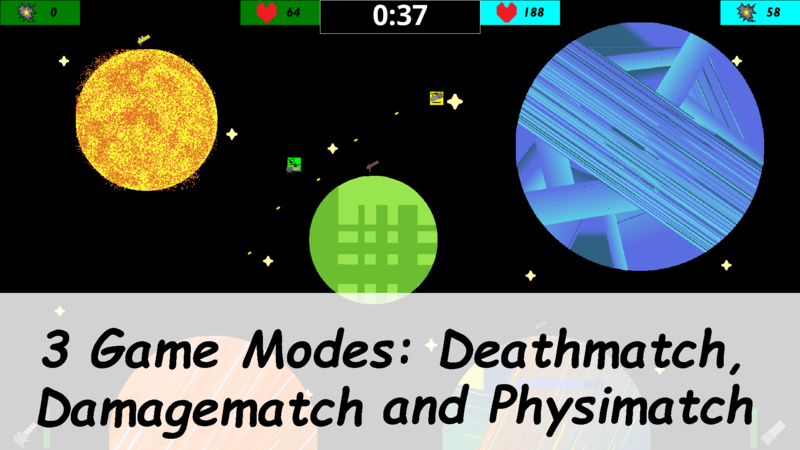 Deathmatch, Damagematch and Physimatch. Deathmatch sees who gets the most kills. Damagematch sees who delt the most damage. Physimatch counts everything, jumps, shoots, special attack uses, etc. 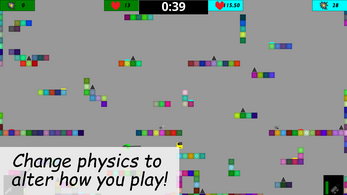 Change the physics of the game to play how you want to! Change movement speed, bullet speed, gravity or much more. Make the game more fun, give yourself a challenge, or make the game unplayable, it's all there. Charge your special attack to get an upgrade to your gun for 10 second. Whether it is 3x reload or 3x bullets, it'll be sure to give you an edge. 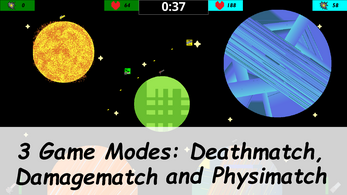 Play with 4 different AI modes to test your skills. 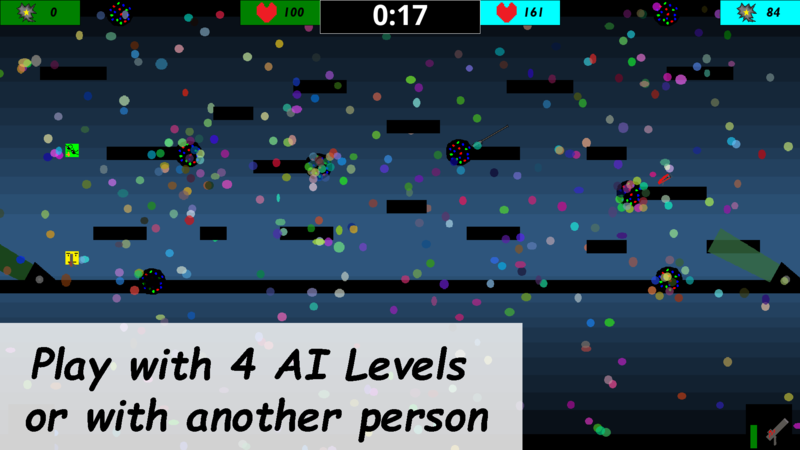 Play with the easy AI if you want absolutely no challenge at all or want to test something out. Play with the Normal AI if you are starting out. Play with the hard AI to get a challenge. Play with the impossible AI to never win in physimatches. 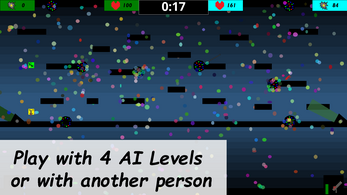 The impossible AI has faster special attack charges, more health, gets less damage from bullets and more. Play on 10 different maps to test your skills! From classics like "Might Be a Castle" to new ones like "Not Sure if this is a Boat", you will have fun on every stage. But beware, seagulls might try and kill you on some stages! On each map, there are 4 guns, 20 guns in total. From the tried and true Machine Gun or to the nominee of "Why did they make this?" 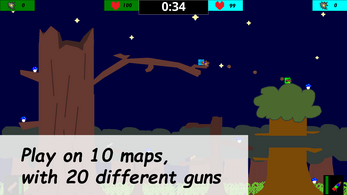 the Killer Seagull gun, you will find the gun that you will like, and use it. Play with all the gamepads that have a dpad, 2 trigger buttons, 2 joysticks and 4 face buttons. All gamepads that Windows 10 supports natively will work. 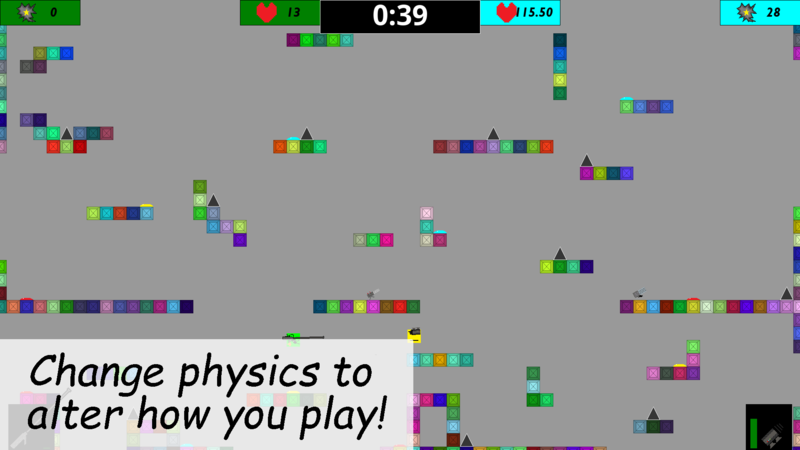 Fdphysics automatically maps the controllers to each player, so no need to restart your computer when you have a controller on a different player other than 1. Only Xbox controllers were tested, but PlayStation controllers do work. 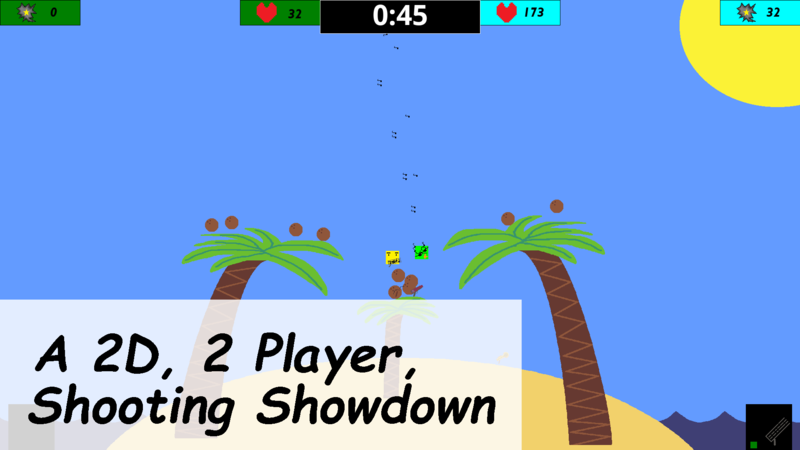 Easy controls, only 7 buttons (keyboard) to move, jump, charge special attack, equip and shoot. And only 4 buttons to charge special attack, equip, shoot and jump, with the left joystick to move. Not convinced? There is a demo so you can play the game with the hard AI on the original map to test out the game. Level Editor, use blocks from the original map and make your own map out of it! Gunpedia, read about each gun, the origins, the damage, the effects, the whole package. 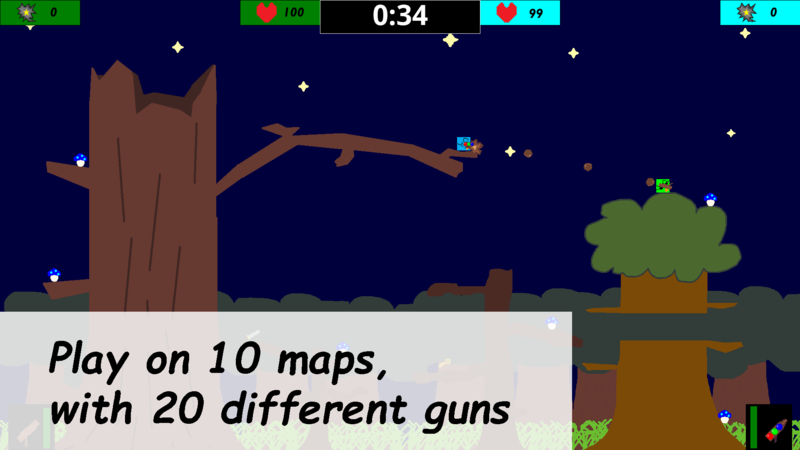 More physics - knockback, random guns, number of guns on map, etc.